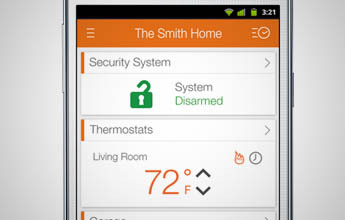 DFW Security provides smart home automation, security systems and alarm monitoring to local customers. Established in 1993, the company is licensed by the Texas Private Security Bureau, and is based in Hurst, Texas. Keeping overhead low is a top priority for DFW Security. In order to consistently provide the highest quality in monitoring services at a fraction of the cost charged by their competitors, DFW relies on their customers to spread the word about the company. As such, a large marketing budget is not needed as long as their customer base is pleased with the level of service provided, which helps the company keep expenses low. However, with more than 40 employees in the organization, DFW Security faced mounting challenges that caused sales opportunities to be missed—and lost revenue opportunities—revenue needed to ensure low pricing and top-notch monitoring. The staff and sales reps used various types of software, such as Excel, “homegrown” software, and even manual methods such as email, notepad and paper, to track leads from prospect to closed deal. “We didn’t have a good system for the company to track leads and opportunities. We relied solely on our individual sales rep’s ability to acquire, follow up, and close leads. We had no way of knowing how many opportunities were missed,” said Corrie Page, Owner, DFW Security. Using their previous software and manual methods, the company’s sales process suffered, operations was negatively impacted, and workflow was affected. “We didn’t have a good picture of what was happening with our leads. Once we started more outside marketing, we needed a way to track progress and make sure people didn’t fall through the cracks. When we first started using web forms on our website, they sent us an email, and we had to manually manage their assignment and progress. We also had to re-enter the information into a separate software system after the sale,” said Corrie. The company’s previous methodology contributed to a lack of organization, resulting in compromised revenue opportunities and customer service capabilities. “Because of the time it took to deliver leads to the appropriate sales reps, many potential customers had lost interest, found another company or weren’t responding. In our industry a quick response is key, as well as consistent follow up. Our previous methods made that difficult and inefficient. Because we didn’t have an easy system of tracking leads, I am sure we lost sales, missed opportunities and provided less than excellent customer service due to the lack of efficient organization,” said the owner. In 2012, DFW Security discovered the solution to their business obstacles. The organization decided to implement the Sales and Marketing Edition of Mothernode. Once the platform was fully deployed and implemented, they were able to quickly rectify some of their previous challenges. “Because all of our internet leads now go directly into Mothernode, they are assigned immediately to the appropriate person, can be reassigned if necessary, are tracked throughout the process—and sales are rarely lost. Because all of the history, notes and account information are at our fingertips, we are able to provide a better, more personal experience for the customer. We now can easily and quickly have a thorough understanding of the effectiveness of our sales reps, and our marketing efforts,” said Corrie. Out of all modules and features included in Mothernode, Leads and Opportunities had the largest impact on the company in several ways. Internal business processes were improved, customer service improved, and their delivery model improved. “Being able to track the source of leads from web forms on our website, internet marketing and social media campaigns, has allowed us to know where to focus our resources. Being able to quickly access information makes for a seamless experience for our current and potential customers,” said Corrie.